Stampin' Anne: Dynamic Duos #5 - Clean, Simple and Sassy! 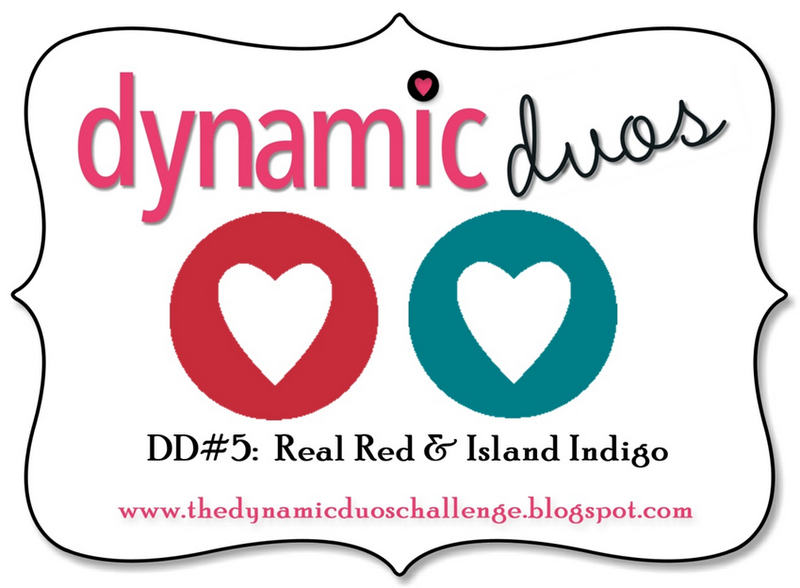 Dynamic Duos #5 - Clean, Simple and Sassy! Hi there! Wow, what a crazy week! I'm a little behind on the creative endeavors, I'm so sorry. I DO have my card for the new Dynamic Duos Challenge ready to go, though. It is the first week of the month and we are focusing on a Bold and Sassy Color combo that I just love: Real Red and Island Indigo. Very clean, simple and sassy - so true. I love your line up of bright butterflies. Anne Marie - this is simply sassy! I love the bold and rich colors popping off the white. The butterflies look fabulous with the bling as well. Hope you have a great weekend! 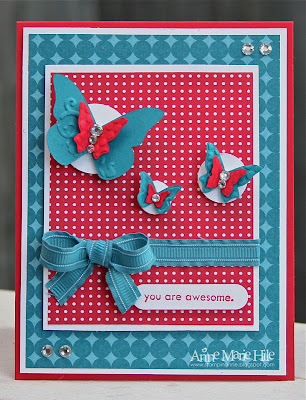 This is the perfect card for an "awesome" friend...bright, cheerful and friendly! 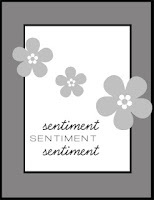 Your friend is going to LOVE this happy happy card! Heck...I love it! Just a delight Anne Marie. What a great job you did with those colors. 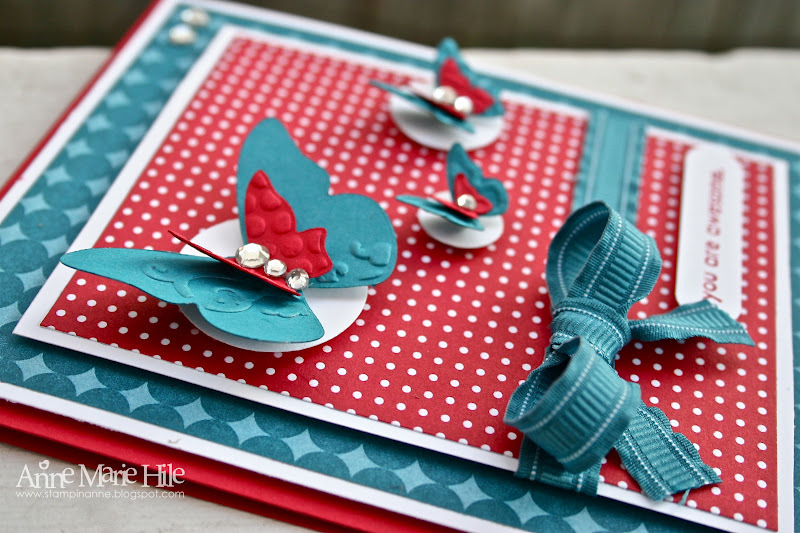 To me these are difficult colors to pair up and you created a happy, cheerful card. The bow is so beautiful! And I love the butterflies with the rhinestones! Bling bling! What a gorgeous card Anne, I love all the elements that pop up. This is wonderful AM, just love those paper and the butterflies are perfect! Your awesome friend will adore this! It is so bright and happy!!! Love your layered butterflies, makes for a bright and cheerful card! So pretty! The white circles really make the lovely butterflies stand out! This is gorgeous! Love your take on the challenges. The white really makes the colours pop!